You can do comp. analysis with it. Summary: SEMRush is for me the best SEO and competition analysis tool out there. However, it takes some time to get used to. Who else wants to make their content go viral in search results? Do you want to find and tap the most uncovered ways to build backlinks? Do you want to increase your search traffic by finding profitable keywords in your niche? We all know creating great content isn’t enough. You need more search traffic to make more sales. It’s as simple as that. Then, why people struggle to increase their organic traffic even though they are creating great content? They know nothing about SEO. They don’t know how to optimize their blog posts properly for search engines. 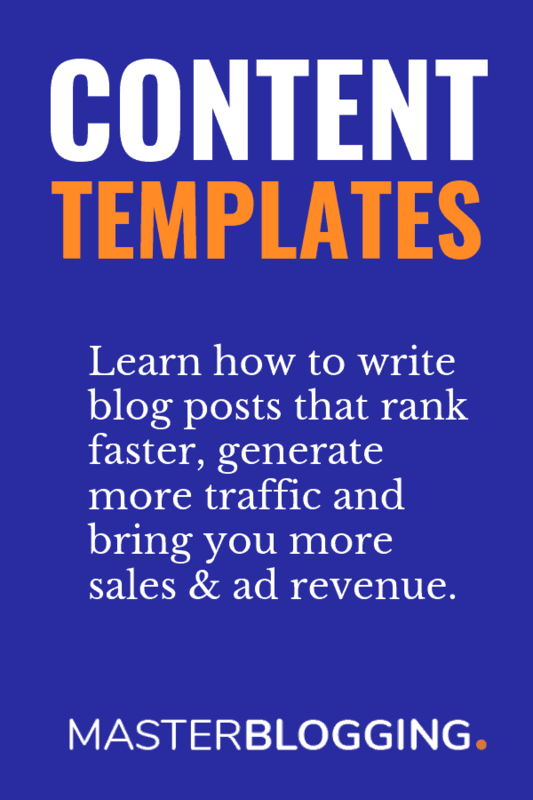 They don’t use the right keywords that boost their blog traffic. And they never worry about spying on their competitors keywords or backlinks. If you are one among them, let me help you. I’m going to talk about a tool that helps you not only increase your search traffic but also sales. Let’s talk about SEMrush - the most powerful SEO tool you can have access to in 2016 and beyond! SEMrush is an all-rounder SEO tool used by many SEO experts to outrank their competitors. SEMrush tool is an incredible tool to find great keywords, analyze your competitors backlinks, check their website traffic, fix your website issues and many more. SEOQuake developed SEMrush SEO tool. SEMrush currently have over 700,000 active users with 29 bases showing up the results of 120+ million keywords! It also has over 73 whopping million of domains information stored in its databases. If you are looking for that one tool that allows you to quickly build your backlinks and grow your search traffic, SEMrush is the right tool for you. What are the features offered by SEMrush? As I said above, SEMrush is an all-in-one SEO tool that provides many incredible features that most tools/plugins won’t offer! Here are few powerful features that help you dominate your niche in search rankings. In this in-depth SEMrush review, we’ll discuss how it can help you crush your competitors no matter what niche you are in. Are you ready? Let’s jump into the details. How to use SEMrush to compete with the authority blogs? I’m not exaggerating about the fact that you can use SEMrush to beat your competitors. Start reading more to find out why I’m saying so. Before talking about what SEMrush offers you, you need to know one thing. SEMrush uses a lot of global databases that are updated frequently. You will find the latest keywords and backlink opportunities each time they update their databases. They currently have 28 databases ranging from the US, Europe to India. No matter where your target audience is, you can pick the corresponding database to find the profitable keywords. So before choosing the keywords or analyzing a domain, you need to select a particular database that you are targeting. Let’s now talk about SEMrush. The amount of search traffic you get is directly proportional to the keywords you find and use. Keyword research is the #1 way to increase traffic to any blog. Unfortunately, most people still use Google Keywords Planner or other free keyword research tools for finding keywords. The bad news about using them is everyone else is also using the same free tools. Even though if you find less competitive keywords, it's still hard to rank because the majority of other bloggers are also finding the same keywords. You need to find a better way to do keyword research. You need an easy way to uncover the keywords. Here’s where SEMrush comes into play. It helps you find the most profitable keywords no matter what industry you are in. It doesn’t matter if you are finding keywords related to Fitness, education, real estate or anything; it will give you a list of better keyword ideas. You will also find all the relevant keywords for any keyword idea you enter using SEMrush. Here’s a screenshot for you to easily understand how it works. Above, you can see that, once you enter any keyword (after choosing the corresponding database), SEMrush gives you a list of all the phrase match keywords along with the related keywords. It will also show you the volume for the keyword so you can choose the keywords carefully. By clicking on the “View Full Report” button, you will get a lot more keyword ideas that match with the keyword you enter. See, how easy it is to find better keywords? Ask any SEO expert about their biggest secret, most of them will say “competitor's analysis”. Let's first talk about why you need to analyze the backlinks of your competitors. Search engines give high priority to the pages with more quality links. The reason most new blogs don't get any search traffic is because they barely have links pointing to their sites. If you quickly want to boost your organic traffic, you need more links. It's as simple as that. Backlink analysis helps you analyze the quality of the links, where they are coming from etc. so you can easily figure out the perfect link building strategy to build natural links to your own sites. In the above screenshot, I used Problogger.net as an example of how backlink analysis works in SEMrush. When you enter any keyword or a domain name, it will show all the backlinks it has including the dofollow links. It will also show you from where the links are pointing to the domain or keyword you enter. This is immensely helpful when you want to spy on your competitors backlinks. Once you find out who are linking to your competitors, you can easily target them, later reach out to attract links from them. Are you struggling to increase your search traffic even if you are creating great content? Maybe your blog has some SEO related issues. Or you may have broken links or title tags that are lengthy. You don’t know what your site is struggling with unless you carefully scrutinize your blog. This is where SEMrush comes in handy. It helps you quickly find and fix your site issues. The above screenshot gives you a clear idea how Site Audit function is done on SEMrush. It not only gives you a list of your site issues such as broken link errors, duplicate content warnings, nofollow attribute warnings, etc. Once you fix them on your site, in no time, you will see your search rankings going up. It's simply a waste of time if you are trying to rank for more keywords without knowing the rankings of your existing keywords. You need to find out what keywords are ranking high in search results and what keywords are not working. That way you will easily figure out where to spend most of your time to get more traffic from search engines. SEMrush gives you instant access to checking your keyword rankings. It automatically tracks all of your keyword positions EVERY single day so you can quickly start working on them if their rankings go down. It's especially useful when you are working on increasing your affiliate sales for certain keywords. Want to compare your domain name with your competitors to find out how you are performing? Well, SEMrush helps you do that! It will give you a list of all the keywords along with the volume (monthly), CPC, trend, etc. That way you can easily figure out where you are standing for your keywords when you compare with others. I know there are a lot of people obsessed with checking traffic. You can easily check your site traffic by logging into your Analytics account. But what if you want to find out your competitors traffic? Although there are a lot of tools like Alexa, SimilarWeb that will help you estimate the traffic of a website, but they don’t give you correct results. SEMrush offers accurate results almost every time. You can easily figure out how many visitors are getting to your competitors from search engines by logging into SEMrush. But wait.. what about the price? SEMrush comes in 3 pricing packages. So how do you decide the right plan for you? Have a look at their features and decide by yourself. If you are a beginner, go with the Pro package that starts at $69.95 monthly. It not only an excellent pricing option that is enough for small businesses blogs but helps you crush your competitors by providing all the features. I also highly recommend you to try their 30 days free trial before deciding whether the tool is right for you or not. Do you REALLY need to focus on your competitors? SEMrush is the best tool to crush your competitors. But do you really need to spend your time analyzing your competition? Listen, there’s a huge competition out there no matter what your niche is. Everyone uses different tactics to grow their search traffic and sales. If you don’t spy on your competitors best performing keywords, backlinks or traffic, you will hate yourself later. Once you start understanding how your top competitors are driving most of their traffic and sales from search engines, it becomes easier for you to run your own business. This is where tools such as SEMrush comes in handy. Again, remember that any tool can only be helpful if you are willing to put extra efforts in doing keyword research, finding link building opportunities, etc. If you want to find the most profitable keywords in your niche, you certainly need a tool that delivers. If you want to crush your competitors in search results, you need something that helps you analyze your competitors carefully. If you want to check others website traffic accurately, you need a tool. Why use a separate tool for every feature mentioned above? How incredible it would be if all those features come in ONE package. Well, that's SEMrush for you. SEMrush is undoubtedly the most powerful SEO tool that helps you dominate your niche no matter how competitive it is. Start their free trial, get used it and you will start loving it. If you are a beginner and searching for the best SEO tools, you must give a try to SEMrush. If you are not happy with their results, you can cancel their 30-day free trial. So there’s nothing you really lose except giving it a try. Let me know if you have any questions before grabbing it. I’d be glad to answer all your questions. Shoot them in the comments. Again you proved to be an excellent tutor through blog. It is so interesting and informative to read. I am using SEM Rush for some time now. Though it is an extraordinary tool that every serious Internet marketer should use, I hardly took action on the data that I got from it. The hallmark of a lazy blogger. Tell me Ankit, do you always research keywords before you compose your blog? You wrote that SEM Rush helps in finding the ‘perfect niche’ for one’s blog. Can you please elaborate on it? Thanks. If you have the SEMrush Pro account then I must say make effective use of it. If you know how to find the perfect keywords (high paying Keywords) using SEMrush then you can make your niche blogs to target those keywords. This is how SEMrush helps in finding the perfect niches. I heard about this tool and Jane suggested me to use the same. My organic traffic improved a bit but I wanna increase it further. I wish to get this tool to do keyword research and competitor analysis. Why you haven’t include the price details of SEM Rush Pro account. If I click the link to use it for free, it is asking for my credit card details why? Jane is right and I also suggest my readers to use SEMrush. It’s a great tool that every serious blogger / internet marketer must have. I don’t encourage readers to directly go with PRO account. They should first test the FREE account. That’s why I skipped talking about the prices of PRO account. And if someone really wants to use PRO account, then my special PROMO code is here to help them in getting PRO account FREE for 2 weeks. In order to get your PRO account, you must have to provide your Card details. But it won’t charge you for 2 weeks. Later on if you want to keep your subscription active, they will charge you for that. Try the SEMrush and share your experience with me. Surely one should test it out using the free account and later on when they feel comfirtable using it, they can upgrade their account to PRO version to get more awesome features without any limitation. I use SEMrush a lot and love it. Pretty cool tool when it comes to SEO and finding competitor’s stuffs (you know what I mean). Seems like a good tool. Have heard a lot about SEMrush but never tried it out. I it’s worth trying. I generally use google analytics. Great post..SEOQuake tool by SEMRUSH has many such feature for free. Only problem is that it needs to be installed as browser addonns. I’ve been using SEMRush for a couple of months, but still only use its backlink and organic search features as you introduce. So, could you please have a review for some other highlights? This is quite nice review about SEMRush. I am using it from a long time and All I can say that It is AWESOME. But one thing disappoints me that we can’t select India in Search box. Thanks for such a nice review on SEMrush. I recently tried this FREE trial offer and found the SEO tool interesting. The keyword research is awesome. But I couldn’t understand, how I can use this tool to increase organic traffic and online income. I generally write content after researching through Google. So sometimes, it’ll be same content found else-where. If I target the keywords what my competitors are using and using the content strategy above, can I increase traffic and money? Plz suggest …. Really a very helpful review, I was also looking for the tools to check the exact keyword ranking as it was shown misleading into my google webmasters account. semrush is very helpful tools for blogger.nice review about semrush.great work keep up it. awesome bro…i am going to buy this right now. I used this tool. And my organic traffic increased by use it. But I want to increase it more. Any suggestion? Its an great tool and you have provided a really good review. But I have a question isn’t it to o expensive for a new blogger. If you thinks its kind of investment in building a great blog.let me know. Do you have any discount coupon code . Really helped me to know about SEMrush, will try it for sure. It’s a great review of SEMRUSH, I’ve just started using it and it looks the no.1 SEO tool. Hi Ankit, that’s a great write-up about SEMrush. Several bloggers fail to drive traffic because they target keywords that are too competitive for them. I did the same mistake during the early stages but latter understood the metrics better. Plus I have tried the free version of SEMrush for competitive analysis and is quite impressive. But their premium pricing is too high in my opinion. Thank you for reviewing SEMRUSH. Because online information changes quickly, it is most necessary for me to have accurate up to date information for making product decisions based on numbers in a highly competitive industry. I used it in the past not knowing that the information was somewhat delayed. Although I found the interface interesting and fun, I currently have little need to check on my competitors. I now wonder how useful it was in the past and would hesitate to recommend it or to use it in the future. Give SEMrush a try. Use their trial period and test their various features. I believe you will love it. We know running a semrush SEO audit is one of the simplest thing however addressing the issues/warning/errors reported might not be that easy. Are you offering any service to help address issues reported by SemRush? If you check SEMrush report, you can easily figure out where is the issue. If you know basic stuff, fixing those issues is easy. Semrush is really a good seo tool for increasing organic traffic and google ranking…. I m using it for some months and getting good results…. I want to buy SEMrush keyword tool. But I think it is so much expensive. So have any other premium keyword tool which cost will very low. A week ago bought semrush pro account after reading your review. I have used Moz, Ahref previously but quit after understanding the real value of semrush ultimate tool which did what other products failed to do. well i have been seeing a lot of posts and reviews about this tool. so i want to try the guru version of this sem tool do you think i have to go for guru plan or else it is ok to start with the starter plan which you mentioned $69/month. well i have seen many posts in a negative way that semrush has only the keyword database which is old than googles keyword planner and will update every database very slowly and lately. so do you think i have to go for guru plan else stick with the starter plan ?